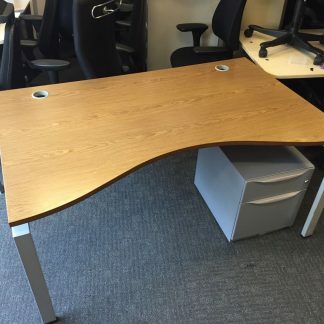 I have several banks of 6 excellent office desks available. 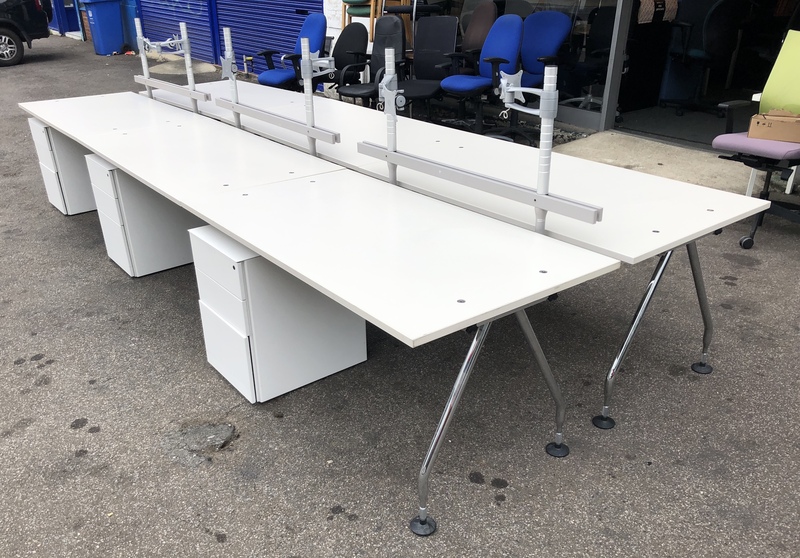 On inspection the desk is really clean throughout and perfect for today’s office requirements combining good styling, strength and practicality. 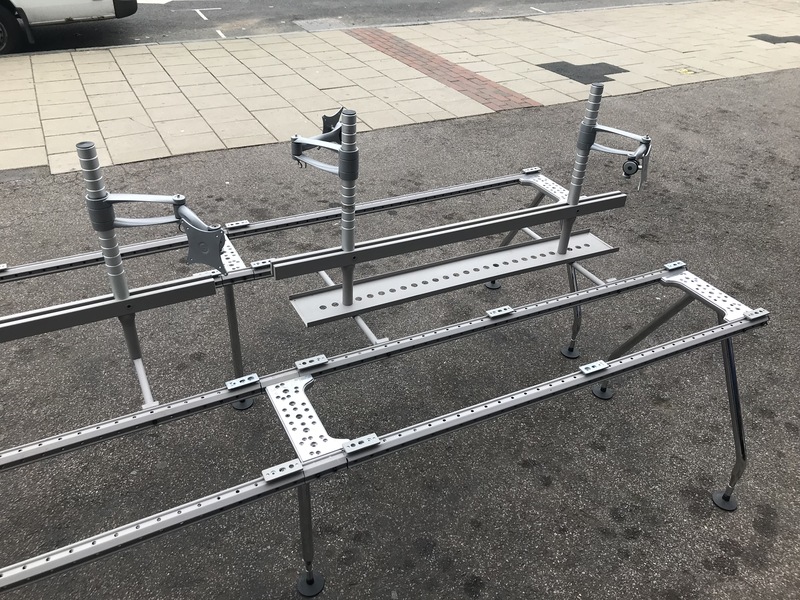 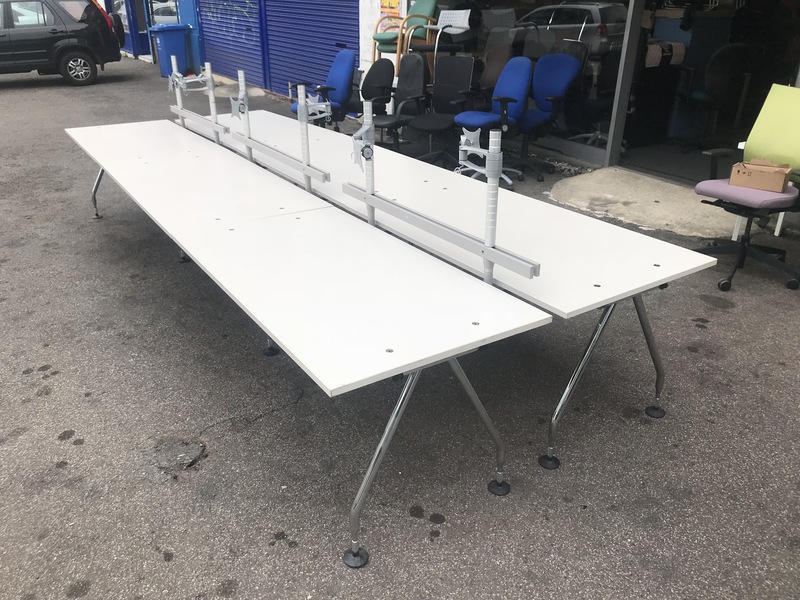 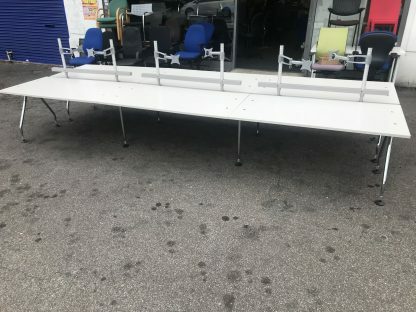 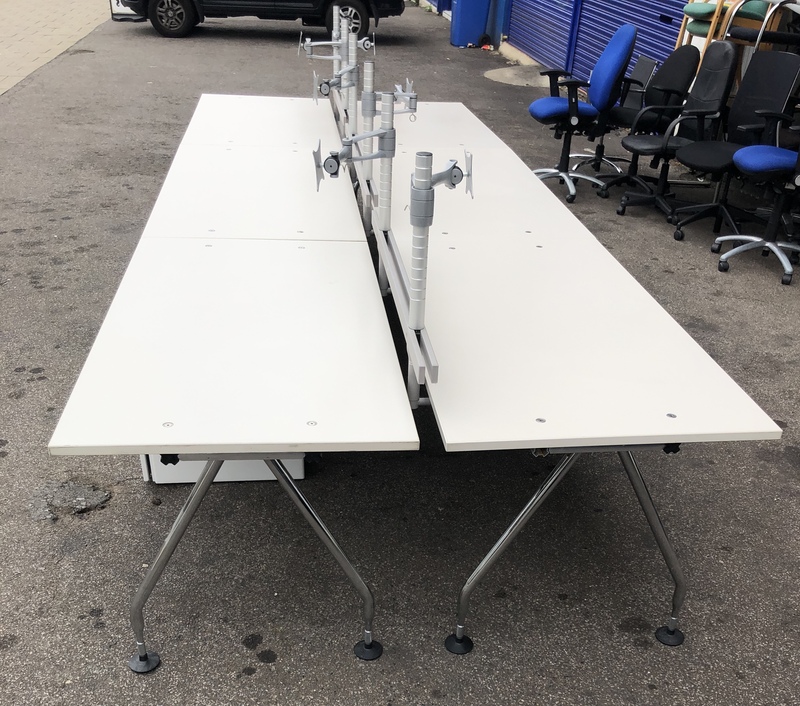 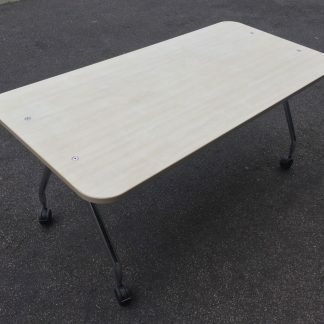 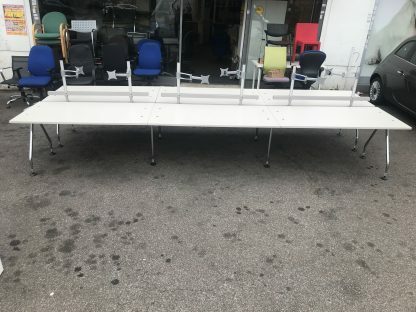 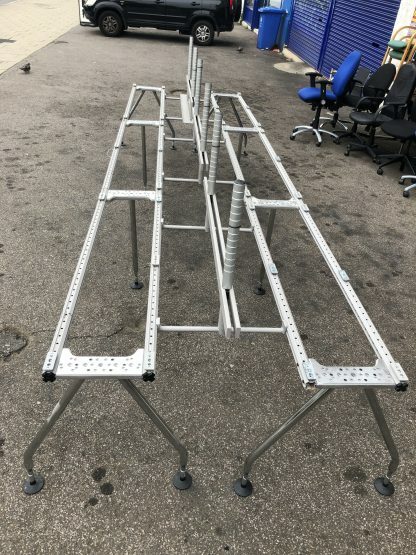 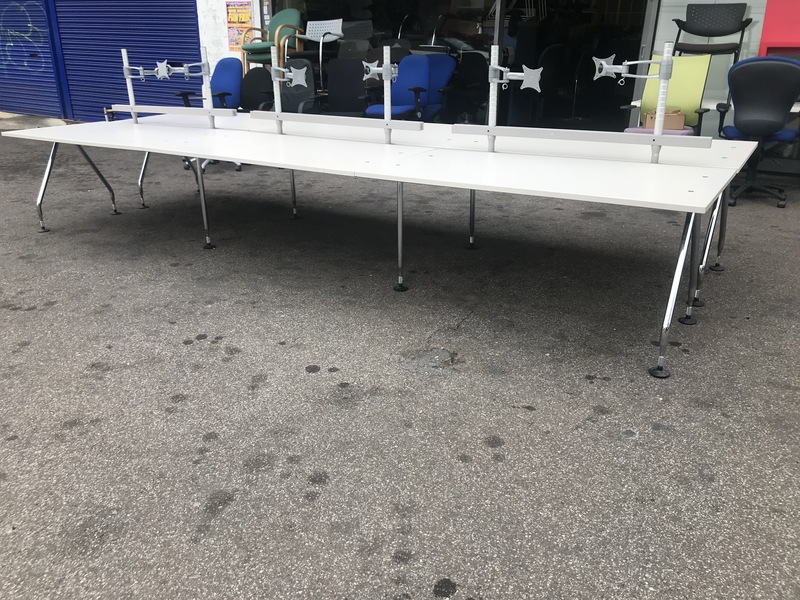 The desks are being offered as banks of 6 so you get 6 desks for the asking price along with a cross-bar section with monitor poles and monitor arms included. 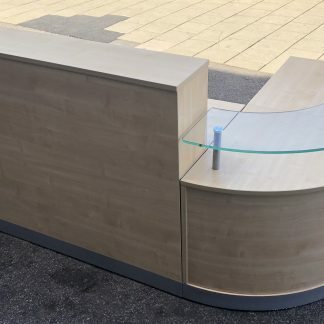 I can also offer mobile drawer units for an additional cost of £25 each if you require these.